Once discovered Exmoor, Minehead and West Somerset have something new to discover every day, one moment thick sea fog and then just around the corner beautiful sunshine. 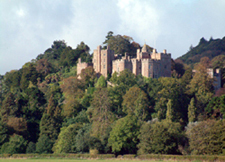 The rugged heather clad moorland, spectacular coastal walks and the picturesque Exmoor villages of Selworthy, Luccombe and Allerford and the seaside town of Minehead plus Dunster and Blue Anchor. 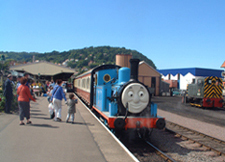 Local products and produce and Farmers' Markets, the Macmillian Way and Coleridge Way, West Somerset Steam Railway and events throughout the year for you to enjoy. Exmoor offers it all. The magnificent wild red deer basking in the sunshine on the heather clad moors, the buzzard soaring overhead, the Exmoor ponies drinking from the sunlit pools of water. There is always something new to discover. 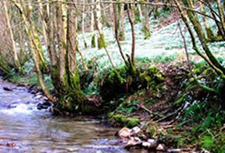 Exmoor has been a National Park for forty years and covers 692 sq km (267 sq miles) of the Exmoor plateau, Brendon Hills and Vale of Porlock. The best ways of exploring are on foot or horseback. The experienced walker need do no more than follow the paths and access areas outlined on the Outdoor Leisure map of Exmoor. The 1100 km (680 miles) of footpaths and bridleways are well maintained and signposted. The novice is helped by the National Park Authority's way-marked routes, guided walks and publications. Riding is the sport of Exmoor and almost every form is offered....National Hunt Racing, Point to Point, Long Distance, Pony Club Games, Gymkhanas, Hunting and more. See the local paper - West Somerset Free Press for what's on near you. !!! 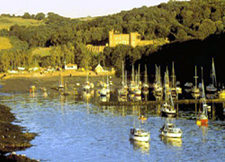 See our late availability for latest vacancies and B&B vacancies !!! 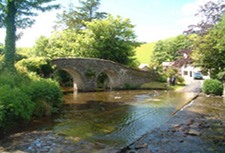 Exmoor-Online is a growing guide for visitors with places to stay and visit. late availability - hopefully they will help you out.